Thank you for your patronage. We hope you enjoy your order. A. 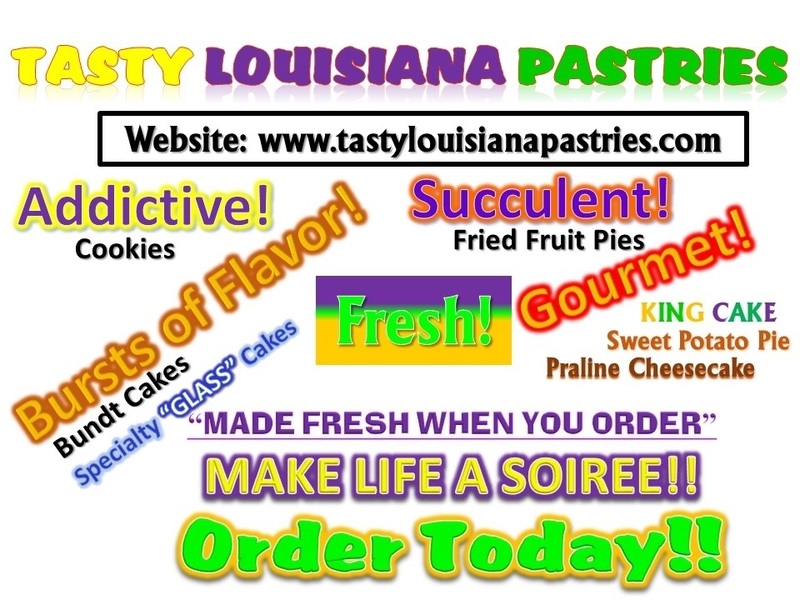 Place your detailed order to email address order@tastylouisianapastries.com. In the Subject Line type "Ordering Tasty Pastries"
B. We will get back to you with the PayPal link. C. Make payments via PayPal before order can be delivered. Payment through PayPal is safe, easy, and provides security for online pay with all major Credit Cards. We invoice and accept payment only using PayPal as our form of reliable payment. Your trust and confidence are our highest priority. Your name, phone number, e-mail address, and delivery address information will not be disclosed to other parties.